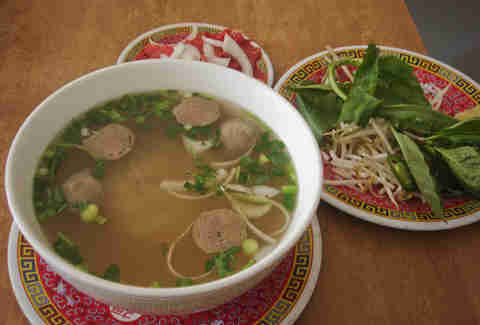 Over the last year, we've told you about LA's best Korean BBQ, and dim sum, and Chinese, and sushi, and OTHER sushi, and OTHER Korean BBQ, and egg rolls, and Thai, and banh mi, but pho whatever reason, we've never highlighted the best spots to get Vietnam's glorious, meat-filled noodle soup. Well, that travesty ends today: here are 10 places in town to slurp the slurpiest of the slurpy slurp. 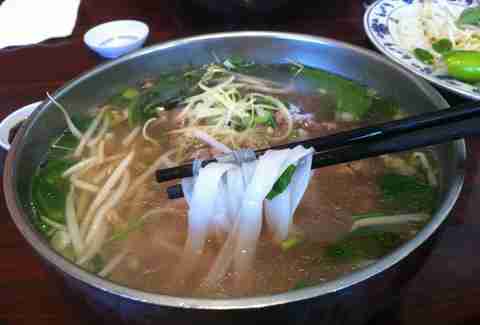 It’s worth the trek to El Monte to get Pho Huynh’s Northern-style preparation, which means slurping down thicker, wider noodles (versus the thin vermicelli you’re likely accustomed to) and a lighter, clearer broth. Blossom's a bit more upscale than some of the restaurants on this list, but what it lacks in wallet-friendliness it makes up for with tenderized tendon/brisket, and ample portions of the extras (bean sprouts, mint, basil, lime), for just a couple extra bucks. 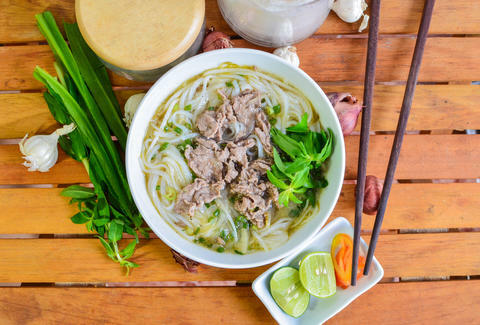 This OG strip mall storefront has been making fragrant broth for years, with a speedy kitchen usually whipping up pho faster than you can figure out how to pronounce your order. This joint's new West LA outpost is one of the only pho options in the area, and even if there were more, it would still likely be one of the best thanks to a solid bowl of well-balanced soup, generously topped with various steakiness. 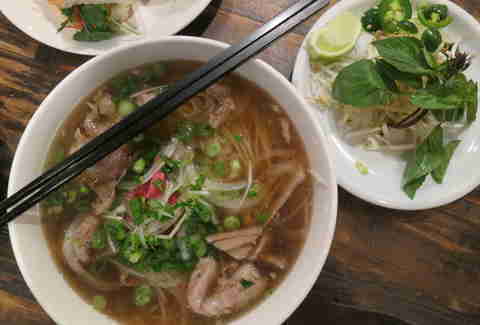 This cash-only restaurant has a wide range of options, ranging from lean chicken to beef ball pho, but the real standouts are the rare steak dishes, wherein tender, still-pink brisket and flank cook slowly in piping-hot soup. Pro-tip: the fried egg rolls and Vietnamese coffee are also must-orders. Two reasons why this joint’s a frontrunner: 1) the so-tender-it-falls-off-the-bone oxtail is seriously good, and 2) complimentary noodle refills -- so arrive hungry. 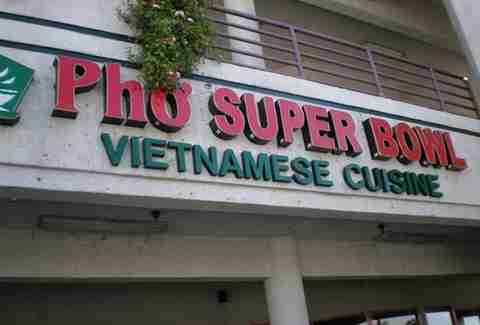 This SGV spot has two size options: regular or, for less than a buck more, the super bowl. Obviously, you’ll opt for the latter, which nabs you extra noodles, cooked to the perfect al dente consistency and served in steaming, marrow-flavored broth. 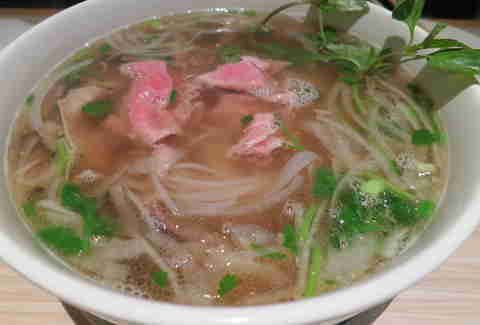 Phorage may have a limited pho selection (just three bowls: American Wagyu, oxtail, and chicken), but the chefs take their soup stock -- this dish’s heart and soul -- seriously. Their rich, hearty broth has real depth, and tastes like it’s been simmering for ages. 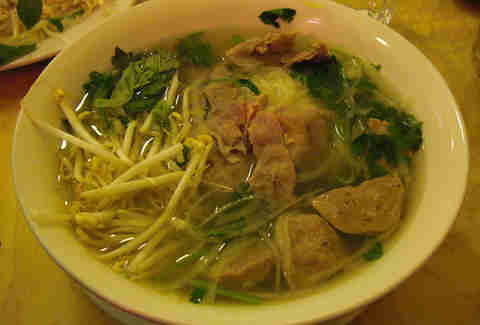 Fill your belly with the filet mignon pho -- which, if you couldn’t tell from the name, is this restaurant’s specialty. 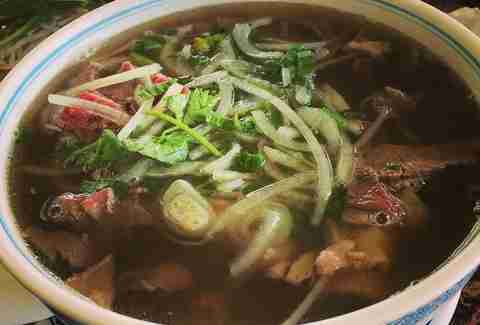 Expect melt-in-your-mouth, thin-cut slices of meat and a ginger-infused, concentrated broth. 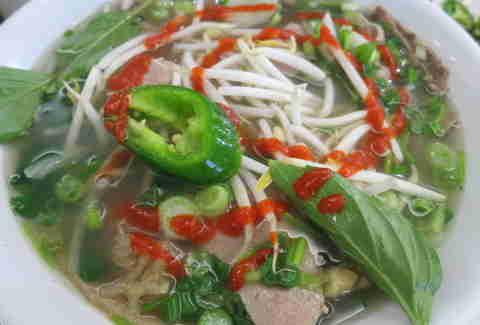 Pho Café's unmarked exterior makes it easy to miss, but the cash-only restaurant slings epic bowls regardless, which you can wash down with a pretty great variety of Asian beers. 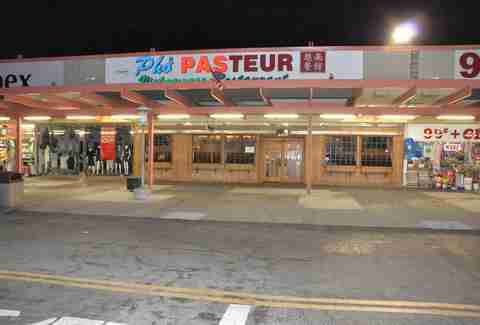 Bonus: they're open every day 'til midnight. Tiffany Tse is a freelance contributor for Thrillist, and also the deputy editor at Clique Media (Who What Wear, Byrdie, and Domaine). Check out what she’s up to on Twitter at @twinksy and Instagram at @twinksy.